Nature is ever changing - a dynamic, mysterious and 'other' world that fascinates me and motivates me to constantly explore depicting it with paint. Over two days I will share my process and teach you various techniques to connect with and paint landscapes. 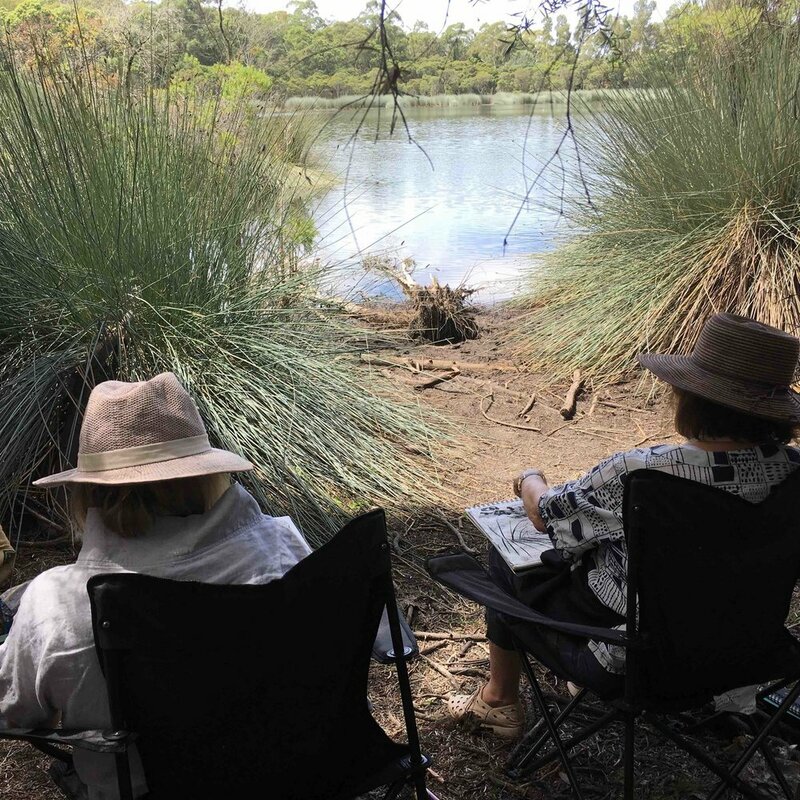 You will create several 'plein air' sketches in paint and mixed media on the first day at Glenbrook Lagoon. We will work quickly to capture the changing effects of light, colour and movement. On the second day we will develop your ideas and skills in the studio and work towards a finished painting. We will work at Glenbrook lagoon and in my studio in Blaxland and I will share my expertise and passion with you. 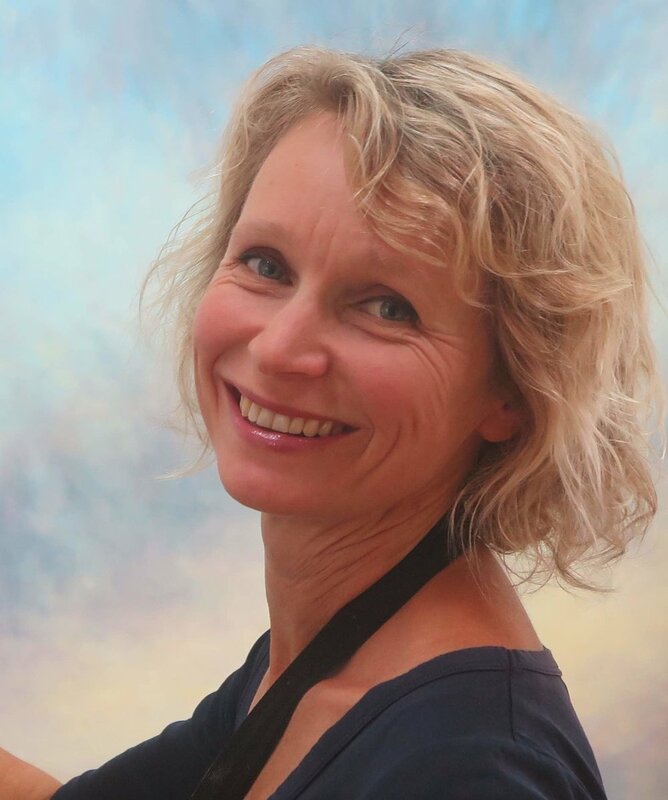 Whether you are starting out or an experienced painter, you will definitely develop your ability to create successful pictures inspired by nature. You will also connect with like-minded and interesting people. The workshop will run Saturday 24 & Sunday 25 November 2018, 9.30am – 4.30pm with lunch and refreshments provided on site. Glenbrook Lagoon, corner Skarratt Ave and Glenbrook Rd and my studio in Blaxland, in the lower Blue Mountains. Lunch is included in the workshop fees and provided on location. Fresh fruit, cake, water, tea and coffee will be available as needed. Please let me know when booking, if you have special dietary requirements. By train from Sydney – Trains run regularly on the Blue Mountains Line, from Central station, stopping at major junctions like Strathfield and Parramatta. If you would like to be collected from Glenbrook or Blaxland train station please arrange this with me. By car from Sydney – It takes approximately 65 minutes from Sydney CBD or 45 minutes from Homebush to travel along the M4 to Blaxland. Places for the workshop are limited and will be allocated in the order of bookings received with full payment. You can book here or by telephone ph. 0432 922 653. I will then invoice you and provide you with bank transfer details. Once your direct bank payment is processed, you will receive an email confirmation, along with detailed information about the workshop. If you are unable to attend and your place is taken by another participant, your fees will be credited towards attending another workshop. · Easel, table, stool (I have several easels available for loan).